Sri Lanka: Are we making good progress on transitional justice? Text: Yolanda Foster, trainer with the Affected Families Forum (AFF). AFF is a network of relatives of people who disappeared during the war in Sri Lanka. Sri Lanka’s Foreign Minister, Tilak Marapana, assured fellow UN members that Sri Lanka is making good progress on transitional justice at the end of last year’s Human Rights Council. But perspectives on post-war justice in Sri Lanka vary widely depending on whether discussions are with victim’ groups; civil society activists or government officials. The Office on Missing Persons released an interim report in the fall of 2018. On a recent field visit to the North and East in Sri Lanka, I travelled with members of the AFF as they met civil society activists and victims to hear their perspectives on the progress of reforms. Despite the interim report released last fall by the Office on Missing Persons, a key message from victims is that more needs to be done in terms of confidence building and communication. Victims have lived through broken promises on the right to truth for too long. There have been at least 10 ad hoc bodies established in Sri Lanka, yet families have received few answers despite giving testimony and sometimes naming the perpetrators. Given this history, and the fact the Office on Missing Persons was established hastily, it’s not surprising frustration is growing. 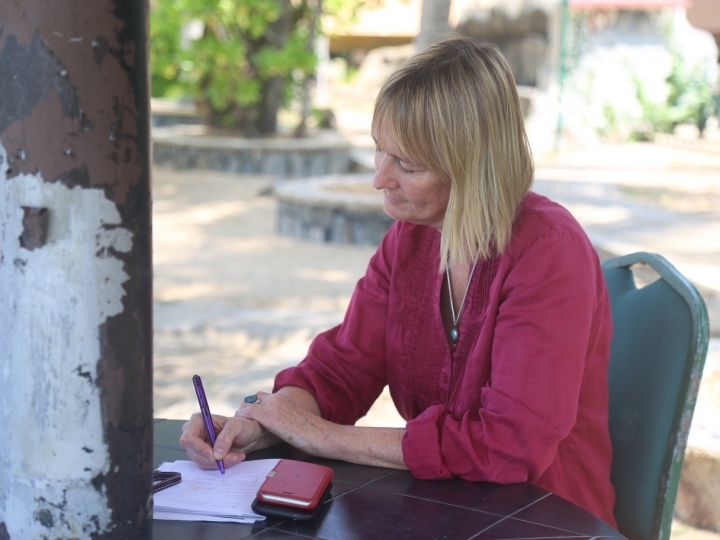 On journeys through Mannar and Jaffna District, victims told the AFF they felt let down by what they felt was a lack of dignity extended to families when engaging with the Office on Missing Persons. We heard stories of lack of information about the process, lack of outreach and problems with translation and inadequate facilities. Mothers from AFF in Sri Lanka exhibiting photos of their disappeared in protest tent. These practical problems with the way the Office on Missing Persons is handling the process of engaging with victims may jeopardise its success. One mother lamented, ‘if the Office on Missing Persons can’t ensure water in toilets for a meeting they invite us to why should we be confident of their capacity when it comes to critical issues like witness protection”. Highlighting problems with communication a civil society activist noted, “the interim report of the Office on Missing Persons claims that it prioritises a victim-centric process but the report launch in Colombo failed to offer trilingual translation to all the families some of whom had travelled from far”. And flagging how the Office on Missing Persons must reach communities and assist victims more practically, one district leader emphasised that “unless regional offices are set up immediately the people will lose trust - we want to speak to representatives who understand our language and our problems”. A key concern of families seeking the right to truth is whether the Office on Missing Persons can investigate allegations against military officers. One mother shared her frustrations noting “there is some security now and I have shared the details of my case, but the military are not summoned to Courts”. The scale of enforced disappearances along with the fact it has affected all communities in Sri Lanka means the Office on Missing Persons is an important first step towards delivering the truth. To function effectively the Office on Missing Persons needs support to establish an independent investigation unit and proper witness protection. Without a commitment to gather information about crimes under international law and hold those responsible victims will remain cynical. 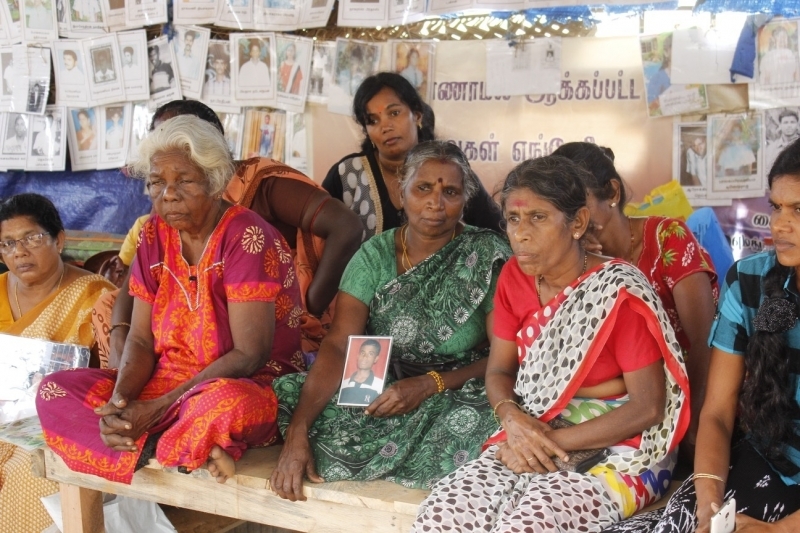 An activist from Mannar district noted, “the government established the Office on Missing Persons to show the UN that progress is being made to resolve the question of disappearances but what families want is the truth - that is why mothers have been protesting in all weathers for over 500 days”. So the Office on Missing Persons needs to establish regional offices and push for some answers such as the list of surrendees. "For peace to take root we need the truth"
What families of the disappeared expect from the international community is a robust assessment of progress on transitional justice when Resolution 34/1 is reviewed in the March 2019 Human Rights Council session. The Human Rights Council must continue to monitor the situation on the ground in Sri Lanka. “War was a curse - we want to live in peace, but for peace to take root we need the truth” – this assertion by a mother who has spent months in protest tents should be a clarion call to the UN member states who supported Resolutions 30 and 34/1. Behind human rights reports, government statements and legal jargon on transitional justice are parents, daughters and sons waiting and longing for answers and this human need for truth deserves all of our support. 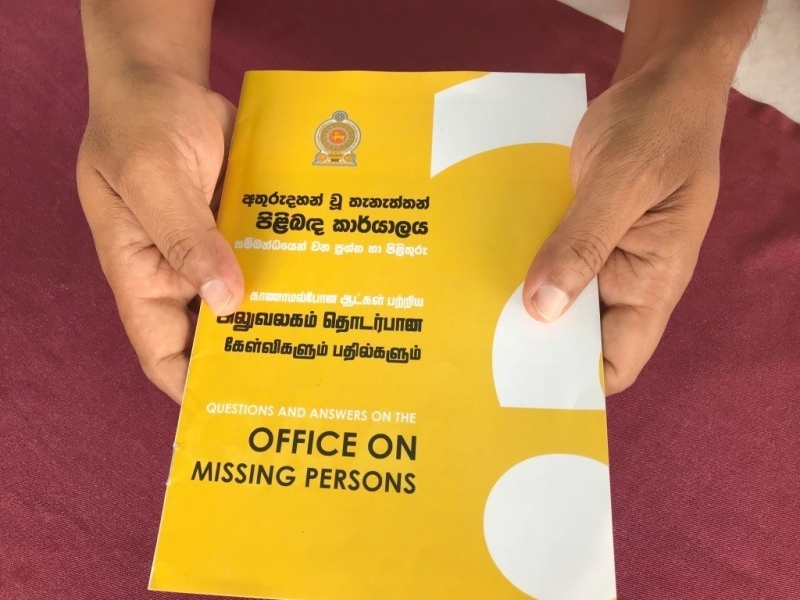 The Office on Missing Persons was established in 2018 by the government of Sri Lanka as a first step to deliver the truth to families of the disappeared. In the fall of 2018 they released an interim report on their work. Read the report here.